An obvious place to start searching is Google Maps. However, borders have changed. Village names have changed. Some places have different names in different languages. These outstanding tools should help you identify and locate the place your ancestors came from. If you know of other tools that are useful and should be included in this list, please send me the URL. The JewishGen Gazetteer contains the names of one million localities in 54 countries in Europe, North Africa, the Middle East, and Central Asia. Global Gazetteer is a directory of 2,880,532 of the world's cities and towns, sorted by country and linked to a map for each town. Presentation © 1998 by Carl Rosenberg. The Getty Thesaurus of Geographic Names allows you to search for a place name and lists synonyms in a variety of different languages. Provides a hierarchical structure (continent, region, country, province, town, etc..) as well as historical background information. Disadvantage: the DB doesn't yet contain many of the small villages that we often hunt for. Austrian Phone Directory can sometimes be useful if you want to validate place names in today's Austria. If available, check the GenWeb for the specific province. Some (e.g.. Burgenland) have some very detailed listing of villages and parishes. Search for the name of the place using the usual search engines (and try the Austrian Internet search engines). Search the GenConnect query boards. Maybe somebody has already searched for the same place. 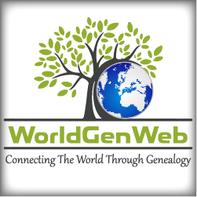 Check the RLL (Roots Location List) to see if other genealogists are performing research concerning this location. Research in libraries, check indices, old maps, verify spelling and alternatives, check which country it might really be in (see History & Geography). Consider checking encyclopedia; eg. Wikipedia. Check with Austrian societies & researchers.